Protect the rear impact area on the rear door of your EVO X with our Rear Flare kit specially designed for the EVO X. 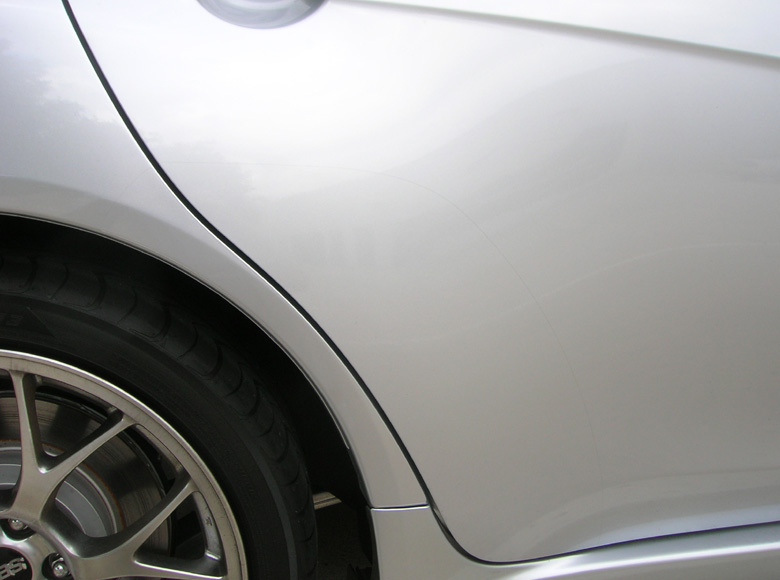 We replace the small token piece that Mitsubishi installs at the factory with a ~16” tall and 7” wide section of paint protection film that follows the curves and contours of your EVO. UPDATE: 2010-2015 Evolutions are no longer coming from factory with any protection at all (the 2008's had a small square) - this is a must for all Evolution X owners! We also include the area between the door and rear wheel opening. Also pictured is the full length rocker / side sill package installed. Clearly protected now and ready to Auto-X! Are you within the USA but outside of the greater Dallas area and want to DIY this? We have now added a way to purchase the materials we use here! Price includes shipping. Offer only available shipped within the USA.